Nauset Mortgage LLC was founded in 2004 by Pablo Parada Pentz. Pablo, a Licensed Mortgage Loan Originator (NMLS # 6573), holds and MBA (finance) and an MPP (environmental policy) from the University of Chicago. 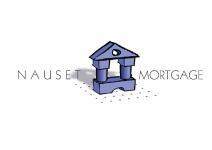 At Nauset Mortgage LLC, we pride ourselves on delivering the very best mortgage terms and service available. In addition to the Cape and Islands, we work throughout greater Boston and the entire Commonwealth of Massachusetts. 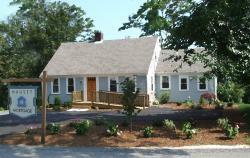 Our mission at Nauset Mortgage LLC is to take an educated approach to mortgage financing. We do this by partnering with our clients and seeing them reach their financial goals, as they relate to mortgage lending, by utilizing a broad spectrum of property based lending programs. Our home loan programs include: purchase, refinance, debt consolidation, home equity loans, second mortgages, commercial loans, construction loans, and home improvement / rehab loans. All programs we offer can be tailored to our clients’ personal needs. Our staff of professionals stays readily accessible to our clients and we work hard to help them obtain the best loan for them, no matter what their situation. To contact one of our mortgage professionals please call our office at 508-275-9212, or fill out one of our online forms available on this website.